Banker-turned-politician Meera Sanyal passed away on Friday night after brief illness. Politicians and other eminent figures expressed their grief on the unfortunate day. Meera Sanyal, eminent banker who later entered politics, passed away on Friday night. She was 57 years old. In her 30-year-long banking career, Sanyal helmed the Royal Bank of Scotland in India as its CEO and chairman. She later joined Aam Aadmi Party and was a member of party's National Committee on Economic Policy. Delhi Chief Minister and AAP president Arvind Kejriwal expressed his sorrow on the unfortunate event in a tweet: "Extremely sad to hear this. No words to express..."
Delhi Deputy Chief Minister Manish Sisodia tweeted: "I am deeply saddened to hear about the passing away of Meera Sanyal. The country has lost a sharp economic brain and a gentle soul. May she rest in peace! You will forever remain in our hearts." BJP MP Rajeev Chandrasekhar wrote, "Very Sad to hear abt passing away of @meerasanyal. my condolences to her family n supporters." Actress Gul Panag tweeted: "Shattered to hear about @meerasanyal's demise. A woman who personified grace, carried her success lightly and always had a patient ear for anyone who reached out to her. An exemplary leader who inspired all who came across her. May God give her family strength to bear this." Singer and music director Vishal Dadlani tweeted, "Gosh! 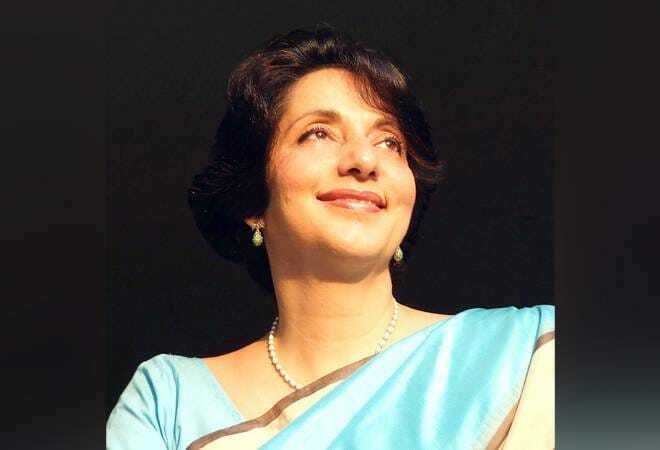 @meerasanyal has left us! Gone far too soon! A truly kind soul, that rare Finance specialist with empathy, genuine compassion and social concern. Feels like a kick in the gut to me, and I only knew her sightly. Can't even imagine how her loved ones must feel. Condolences!"